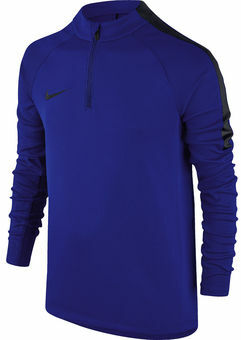 The shirt is made from Nikes Dri-FIT material, that keeps the sweat away from the body - to keep you dry and comfortable. The shirt has been designed with rid sleeves and with good insulation, to keep you warm during cold sessions. With 1/4 zip.